Gabrielle Blue (a.k.a. Tessa Blue Jones and Cheryll Ganzel) - two extraordinary sisters, one pen name; a writing team like no other! Tessa Blue Jones has a keen interest in the human psyche and through her writing, explores the various forms of relationships necessary for personal expression of truth. She has had several articles and short stories published, generally focused on unusual experiences and relationships, extreme hardship and the endurance of the human spirit. Tessa is currently working on a novel about Ancient Rome. 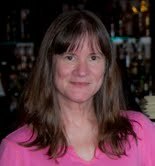 Cheryll Ganzel writes articles on Alternative Medicine topics, as well as short stories and flash fiction. She is currently working on another Young Adult novel, as well as pursuing cinematography interests. Savannah Henderson, 17, is lonely. An only child of always busy and never at home doctor/scientist parents, Savannah struggles with Attention Deficit Disorder, struggles in school, and struggles for the approval of her unapproachable and disapproving parents. Athletically, however, she is practically unmatched, having mastered the art of Kendo (The Way of the Sword) as a child, then moving on to saber fencing. Physical activity calms her mind, a perfect channel for her A.D.D. She dreams of becoming the next Olympic gold medalist. Savannah is introduced to a new fencing coach, Aaron Sloan. Unbeknownst to her, Aaron is not only a “finisher of fencers,” but is also Alpha of a shapeshifter pack, protector of the human species, ensuring their survival against those ancient enemies, werewolves. Thrust into this impossible world, Savannah's life becomes intertwined with the shapeshifters as she is targeted by werewolves and drawn into their war. Under the protection of the close-knit Sloans, she finds excitement and danger, as well as family and a sense of belonging, something she's never had before. She also finds romance with Luke, Aaron's son.